Our Values - Never Forget Your Own Inc.
Never Forget Your Own Incorporated is a 501 (c)(3) nonprofit organization committed to upholding our core principal values and promote them within and outside the nonprofit sector as a whole. These principal values represent what we believe in, what this organization stands for and how we will approach our overall mission. Diversity and Respect- Never Forget Your Own Incorporated celebrates and respects all our service members (past or present) regardless of age, race, sexual orientation, culture, religions, regions or political views. Sustainability- Never Forget Your Own Incorporated understands that in order for an organization to accomplish its mission a nonprofit must understand the importance of sustainability. This means that we will diligently review operational procedures, strategic plans, training, and overall financial effectiveness to ensure that we are using all of our available resources accurately and responsibly. Integrity & Leadership- The communities’ trust in an organization’s leadership and the overall organization is an absolute necessity and should never waiver. 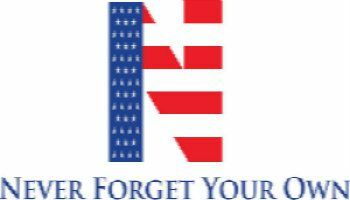 All Never Forget Your Own Incorporated leaders, volunteers, stakeholders are committed to achieving our mission by remembering our commitment to our veterans and our mission. Never Forget Your Own Incorporated will perform all tasks and duties charged with the highest of standards. Stewardship- Never Forget Your Own Incorporated understands the importance of responsible stewardship of all of our resources, whether they are human, financial and or natural. This means that all resources are used responsibly and strictly for the organization. Never Forget Your Own Incorporated's role in the veteran community- As a veteran founded and ran organization, it is important that our organization is strong and independent. A strong and independent organization is essential for building the social, cultural, and emotional support that our veteran community so desperately needs. Never Forget Your Own Incorporated provides needed services and resources, by involving the community and its citizens enabling them become part of the solution. Along side the community, we are creating responsible volunteers that will speak up for the underrepresented and the rights that they have been denied.